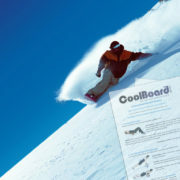 Improve your turns and reduce aches and pains – get ski and snowboard fit with this CoolBoard Ski and Snowboard Workout. Be prepared to enjoy your holiday! 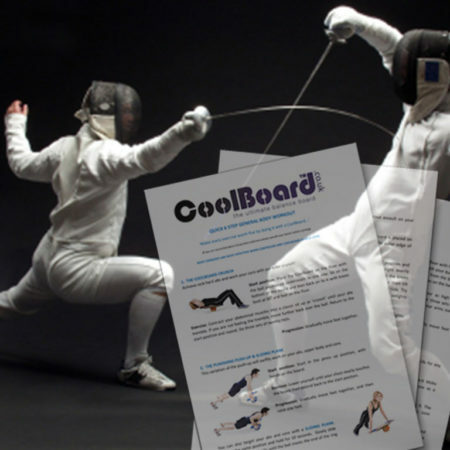 Times on Line tested many ski and snowboard fitness products, and CoolBoard was one of only two recommendations – why, because it works all the right muscles and skills. We wish we could spend most of our time on the piste, but even those who do know that some extra fitness training can prepare us to get so much more from our skiing and snowboarding. Most of us, alas, have to deal with the fact that we can only spend a small proportion of our time on the snow, making being piste fit is even more important so that when we get the chance we’re ready. Being piste fit means skiing for longer, cramming in more runs, handling trickier sections, blasting tighter turns, having better ski and board control, landing better tricks, and in general enjoying our skiing and boarding a whole lot more. Skiing and boarding are very dynamic and demand some very specific strengths; ankles, knees, hips and lower back all take a pounding. Good leg strength is needed to control your skis or board and really push your turns, and all your movements on your skis or board are initiated from within your core, meaning good core strength and stability are essential. 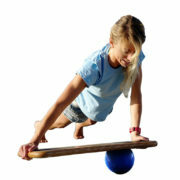 Add to this oodles of balance and poise and you have the start of a great skier or snowboarder. 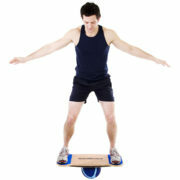 The world’s only true 360° balance board, and the best for Skiers and Snowboarders. If you’re a Skier you can find out why here, and Snowboarders here. Fatigue and injury are two things that can quickly spoil or even end an expensive holiday. Both can be mostly avoided with a little pre holiday preparation. Stabilising muscles are the small ones around a joint (e.g. the knee) that support the joint when moving enabling us to hold correct technique through a movement and avoid injury. Our proprioceptive system is the brains behind all our movements again enabling us to hold correct technique through a movement and avoid injury. 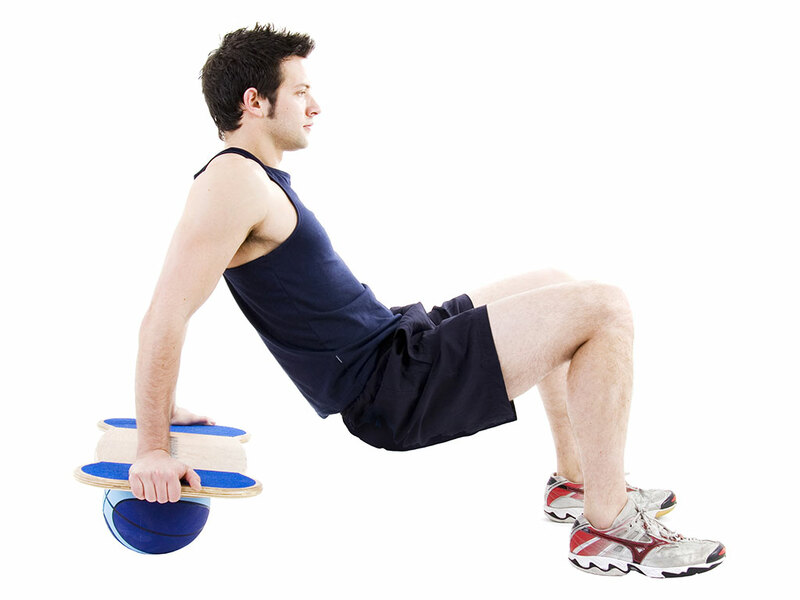 The CoolBoard Ski and Snowboard Workout is not a generic or body builder’s functional program. Its piste specific, designed to target the areas you need to condition to get the best from your skiing and boarding. 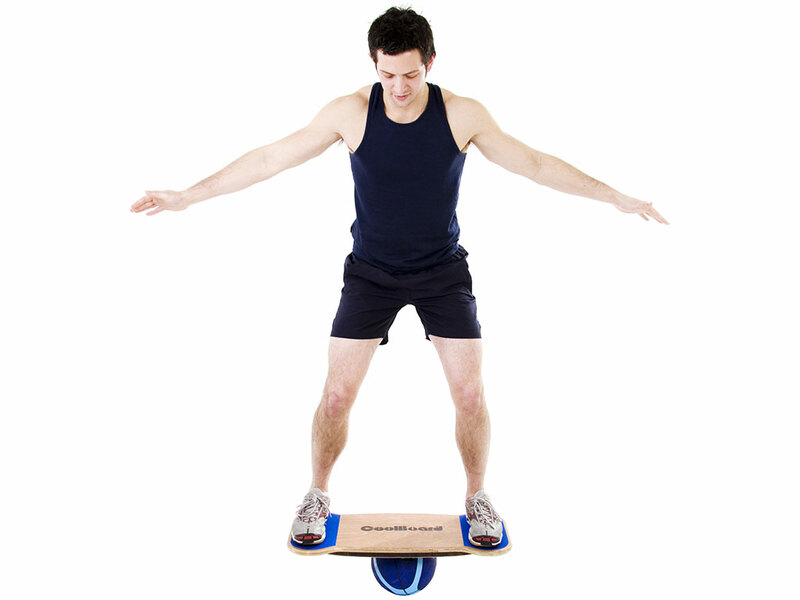 CoolBoard’s unique movement will work your core, stabilising muscles and proprioception better than anything else while you build the major muscle groups needed. Your time on the piste will feel more effortless and you’ll recover better between runs. You’ll tackle harder runs with more confidence. Your knees, calves, thighs and lower back won’t moan at you after day 3, and you’ll be much better prepared to avoid injury. Having time away from the snow means your board control will slowly suffer. 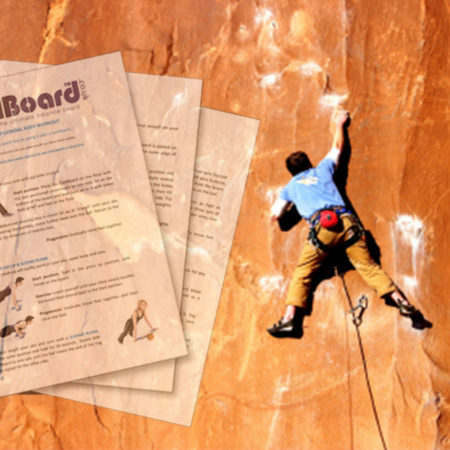 Not only is CoolBoard a great fitness tool, it was originally developed as a boarders’ training aid. 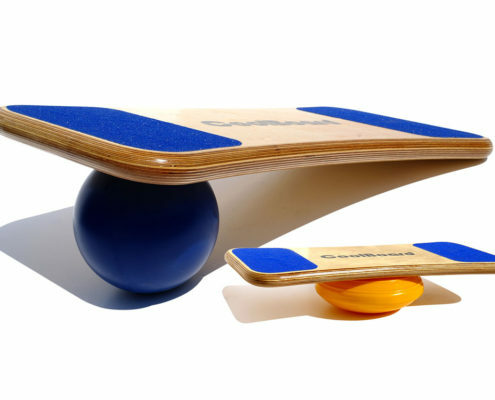 CoolBoard is the world only balance board to move in all directions, it slides from rail to rail as well as foot to foot. This unique movement of CoolBoard means it can move like your snowboard making it the best home board simulator out there. A bit of regular practice will mean you’ll keep your balance and poise – perfect for powder lovers. 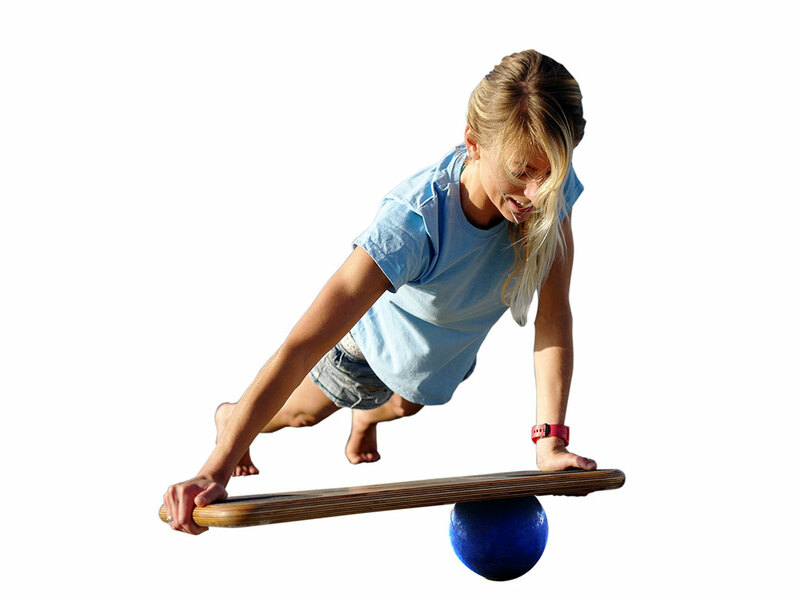 The more adventurous can practice grabs of all kinds and develop the balance needed to hit a rail and hold it!